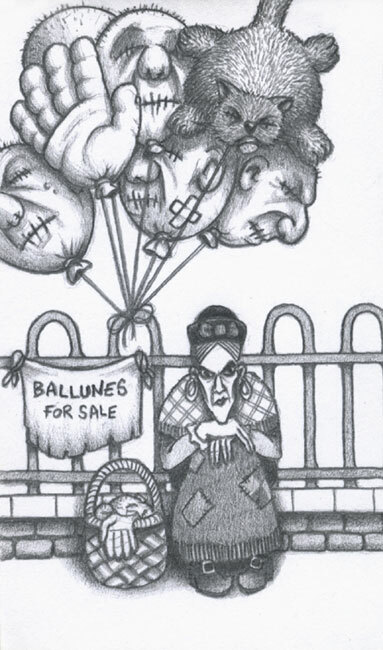 Don't expect this old balloon seller to be made into a Royal Doulton figure anytime soon! Nobody knows her name, but she does have her own unique way with children. If they misbehave, she'll start by taking away their pets - one by one. If they still persist in being unruly, then she'll take away their parents - one by one. Sooner or later they learn manners and morals. If they don't, and they grow up into misbehaving adults, then she punishes them by cutting off their hands - one by one. But mostly, she sells balloons.